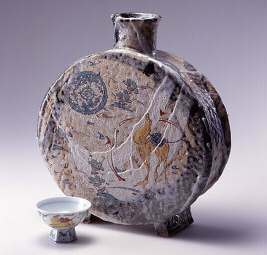 Old Arita ware, well known for SOMETSUKE and AKA-E, has influenced MIYAZAKI's glazing technique and the style of his porcelain wares. SOMETSUKE is a white porcelain that is first bisque-fired and then decorated in indigo blue gosu (cobalt oxide).  AKA-E is polychrome overglaze painting whose main tone is usually red. This style of overglaze painting was introduced to Japan directly from China. It includes NINSEI style wares as well as Imari, KAKIEMON, Nabeshima and Kutani porcelains. MIYAZAKI uses images from the Silkroad for much of his designs. Camels, grapes, and sometimes even rabbits can be found on his porcelain canvas. He has spent long periods of time in Pakistan, Morocco as well as China taking in the scenes to be used on his porcelain. His SOMETSUKE and AKA-E wares are quite popular among ceramics fan who enjoy using them on a daily basis.